“There was a big raging sea beneath the window,” he told the Times of Malta. “Suddenly, the arch collapsed into the sea with a loud whoomph, throwing up a huge spray. By the time the spray had faded, the stack had gone too." In a press conference, Environment Minister Jose Herrera said several studies had shown that no man-made intervention could have prevented the collapse. 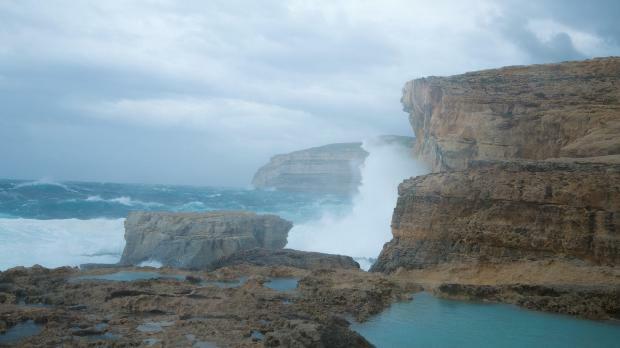 Gozo Minister Anton Refalo likened the event to "losing a part of yourself" but was keen to stress that Gozo had a lot to offer apart from the Azure Window. Tourism Minister Edward Zammit Lewis described the window as a marketing asset that had now been lost, but expressed confidence that Gozitan tourism would weather the blow. 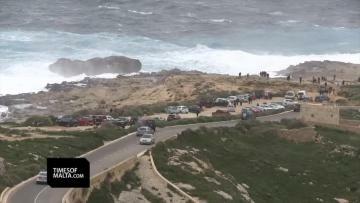 Strong gale force winds hit Malta yesterday, even leading Gozo Channel to suspend its services. Prime Minister Joseph Muscat tweeted the news about the window this morning. 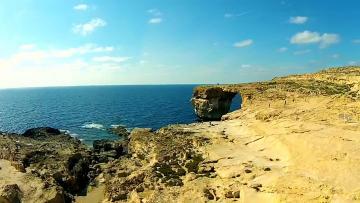 “It is as if we never had an Azure Window,” one person said. Opposition leader Simon Busuttil also tweeted, describing this as "a sad day for Malta". As soon as the news hit the headlines, many Gozitans started heading towards the area wanting to see what had happened with their own eyes. Many were on site by mid-morning, still unable to believe what had happened. The police later issued on appeal on Facebook calling on people to avoid the area. The Gozo Tourism Association issued a statement saying that the inevitable had happened and the island lost one of its iconic beauties. "The flagship of the Gozitan touristic sites has sunk in its same birth place from where for thousands of years, it stood high and proud heralding one of the natural beauties our little island is endowed with," the Association said. "The much promoted Azure window is no more, and only millions of photographs remain as testimony of this touristic spot." They said that although Dwejra had been "orphaned" with the loss, the tourism community in Gozo believed Dwejra would continue to thousands of tourists every day. "The Azure window’s demise should serve as an eye-opener to all concerned to look after and maintain and protect where possible, the touristic sites this little Island has to offer." Only last January, rough seas had exposed the fragility of the iconic site, with waves breaking off a large slab at the base of one of its cliffs. A three-month geological study published in 2013 had concluded that while erosion was inevitable, the structure was not in imminent danger of collapsing. 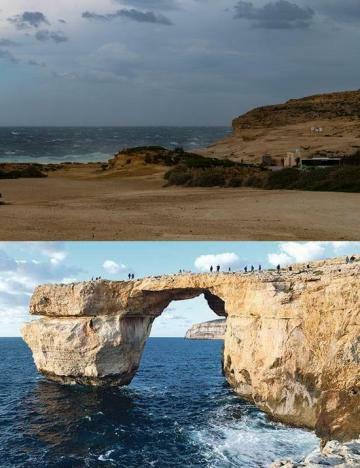 At the time, geologists had said that the Azure Window was likely to survive for "decades" to come. Concerns about its long-term future grew over the past year, and a steering committee tasked with overseeing the site's management was recomposed after a three-year hiatus. The government had also made walking across the arch a fineable offence - but enforcement was lacking. The Azure Window was created after two limestone sea caves collapsed. It was one of the Maltese Islands' most distinctive sites, attracting thousands of tourists every year. 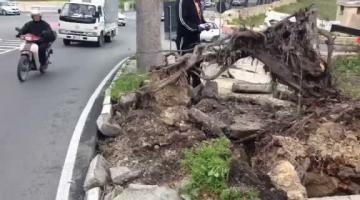 Life today also came to an end for a very old tree at Rabat, just at the foot of Saqqajja Hill, another victim of the winds.